Voz de la Clave is a group directed by Dr. Peter Ellingson out of Denver, CO that plays a wide variety of Latin jazz and salsa music. 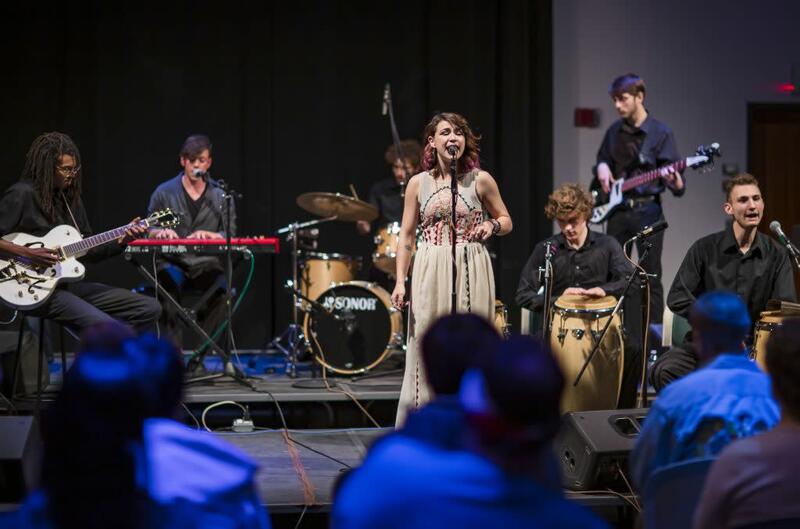 Made up of talented young musicians at the University of Colorado Denver, Voz de la Clave has been a part of campus and community life since its inception. They have played shows for festivals, performed on KUVO and PBS, and have hosted salsa dance parties, among many other events in the Denver Metro area. The CU Denver Signature Jazz Guitar Ensemble is a collection of the top guitar students from CU Denver’s performance degree program directed by Drew Morell. They perform unique and often challenging arrangements of compositions from all eras of jazz. Backed by a talented piano/bass/drums rhythm section these four guitarists bring high energy and strong musicianship to every performance. For this concert they will be playing exclusively the music of Miles Davis – all eras of Miles’ music will be represented from straight ahead (Kind Of Blue) through his contemporary period (“In A Silent Way” and “We Want Miles”).